Reception, transfer and installation in the chosen accommodation. We will leave with destination to the city of Oxapampa. Panoramic view of the District of San Luis de Shuaro. We continue to the Mirador de Mesapata and the welcome monument to the geocentric city. We will arrive at the main square and Church of Santa Rosa, main typical houses, Artisanal Plant “El Wharapo” (tasting and purchase). Tunki Cave (stalagmites and stalactites). Visit to the dairy products and derivatives manufacturing plant. Suspension bridge of Chontabamba. Starting our journey to the Valley of Perené appreciates the Profile of the Sleeping Native found in the mountain of a mountain. We continue our tour and we can observe the confluence of rivers that give birth to the Perené River. 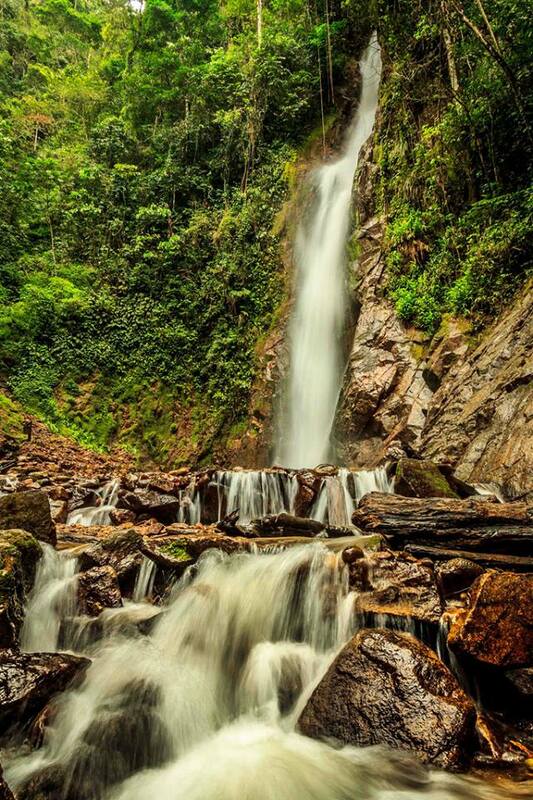 Continue the trip to Yurimaki where the journey begins to climb to the Velo de la Novia waterfall with a drop of 60 meters. height approx. Then we will visit the Bayoz Waterfall with falls in three times. Boat ride, an outboard motor by the waters of the Perené River. Cultural Exchange in the Asháninka Native Community. Entrance to the coffee processing plant, liquors, jams, nectars, etc. Arrival at La Merced. Return and transfer to the Terrestrial Terminal to return to your place of origin. Breakfast. Free day for personal activities. At opportune hour, transfer to the Terrestrial Terminal to Return to the city of Lima. Wear light clothing – swimwear – repellent – sunscreen – waterproof for possible rain – sunglasses – cap – walking shoes – flashlight – camera and / or video camera – personal documents. Transfers Terminal / Hotel / Terminal. Transportation to carry out the tours. 04 Breakfasts / Continental / American depending on the Hotel. Entrance tickets to all the circuits mentioned. Lima La Merced Lima bus tickets. Additional nights due to bad weather. Alcoholic beverages, soft drinks or bottled mineral water, Snacks.